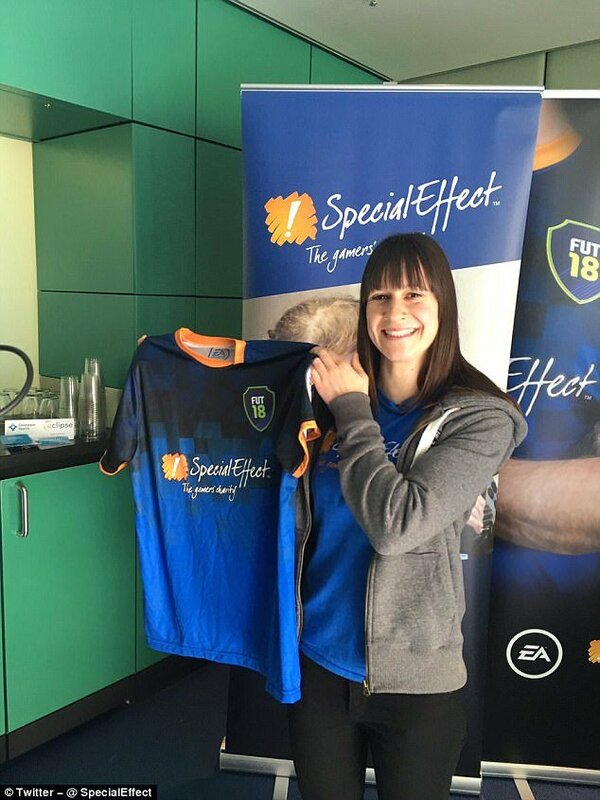 Electronic Arts have chosen SpecialEffect to be the first ever games charity to have an exclusive in-game FIFA 18 kit. The kit went live in game on Friday 10 November, as a reward for a weekly objective in EA Sports FIFA Ultimate Team. SpecialEffect are a UK-based charity that provide custom-designed control setups for people with physical disabilities who want to enjoy video games. FIFA is one of the most popular games requested by people they help. The kit was launched at Wembley Stadium on 10 November. This entry was posted in 2, Developer, game, games, Games Developer, SpecialEffect, train, train 2 game, Train2Game, www.train2game-news.co.uk and tagged Charity, developer, FIFA, game, Games Developer, games industry, Mick Donegan, Music, SpecialEffect, train, Train2Game, Wembley by Train2Game Blogger Team. Bookmark the permalink.